The Jailbreak 2015 challenge has been won by two mechanical engineering students from Trinity College Dublin – Hugh Wedlon and Ahmad Mu’azzam. 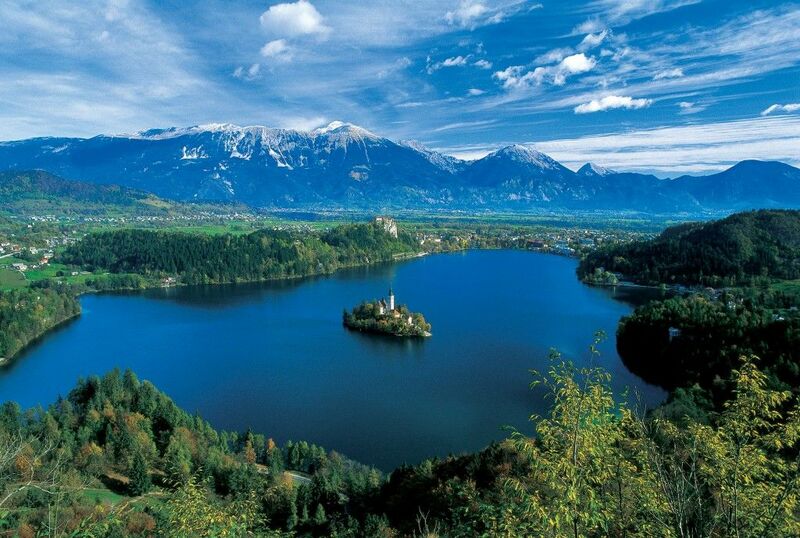 They reached the final destination of Lake Bled in Slovenia at 1.32pm having set off from Collins Barracks, Dublin, at 9am on Saturday morning. The pair didn’t even leave Ireland until 3.30pm yesterday as they were trying to raise the money for their flights. They eventually got to Charles de Gaulle airport in Paris. From there they took a taxi to Lake Bled. The final destination was the castle on a hill overlooking the lake. He said the hardest part for them was raising the money at Charles de Gaulle Airport to get a train into Paris. The pair were six minutes ahead of the second place team of Trinity College Dublin’s Sam McMahon and James Orr. They got a flight to Ljubljana and a taxi to Lake Bled. Seven teams behind them ended up on a bus from Berlin to Zagreb overnight. They got off at Ljubljana and arrived together at Lake Bled. The destination was deliberately chosen to make it difficult for the challengers who have to get to there without spending any money of their own. Hugh Wedlon and Ahmad Mu’azzam raised €2,000 for the two nominated charities, St Vincent de Paul and Amnesty International. Each of the 88 teams had to raise €300 pre-departure. However, one team succeeded in getting €2,200. The final destination was only announced at midday and was narrowed down between Slovenia and Croatia. Despite the relative inaccessibility from Ireland of both countries, 20 teams were in the shake-up before the final dash. To date, the Jailbreak challenge has raised almost €58,000 for both charities.